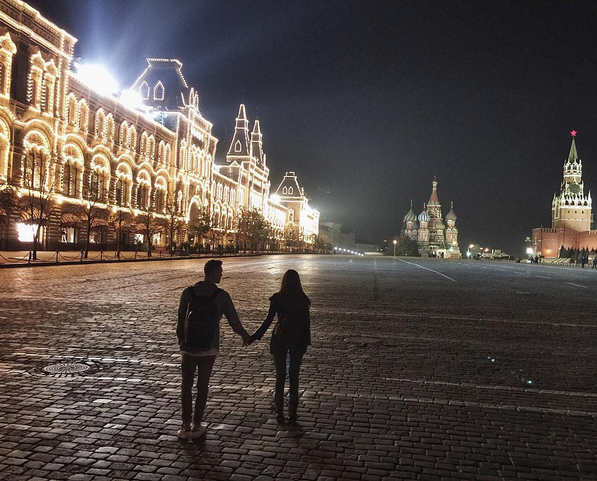 22-year-old singer first showed his new sweetheart at birthday party in Moscow. Idol of Russian girls - singer Egor Kreed is no longer free. 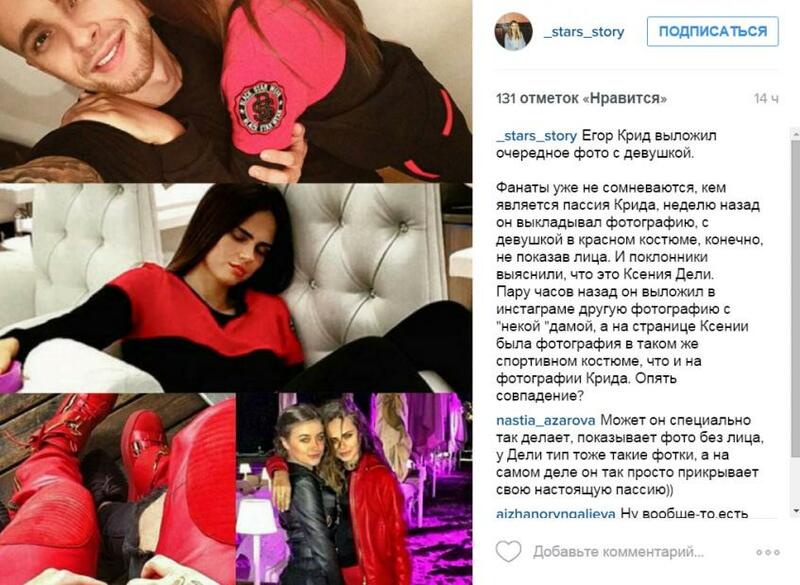 In October 2015, Russian media called Moldovan model Xenia Deli his girlfriend. The couple exchanged tender messages in social networks, calling each other "darling". After the separation with Kreed Xenia married 62-year-old Egyptian billionaire. ​As it became known, 22-year-old artist of Black Star label has been in close relationship with the model of the St. Petersburg Agency Mavrin Models - Victoria Odintsova for two months. Close friends of Kreed for a long time have noticed a hot brunette next to him. Despite the considerable number of distinguished guests, the actor has not missed an opportunity to hug and kiss a girl. 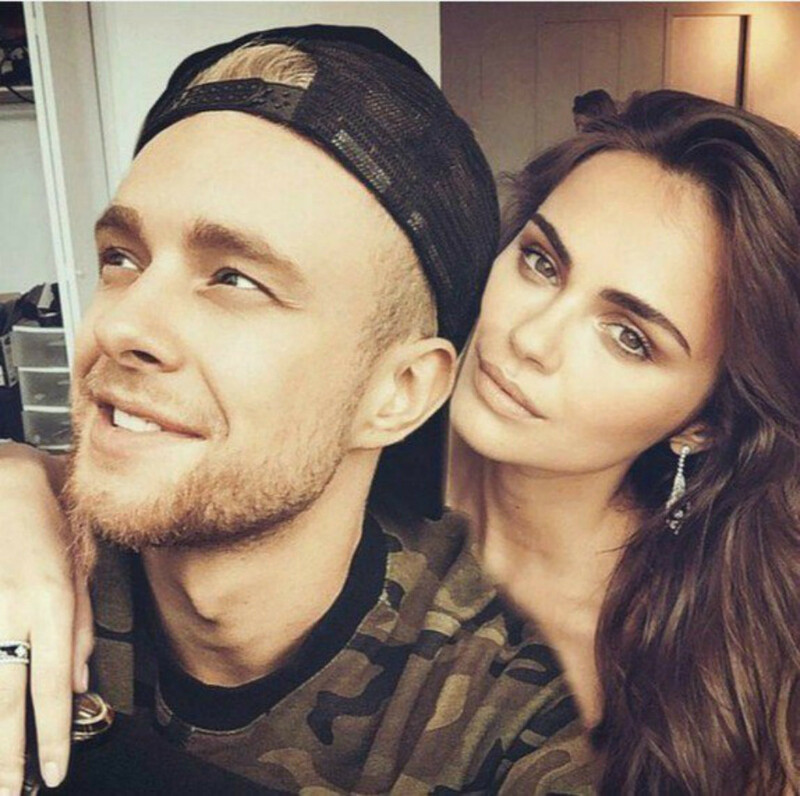 As we found out, Egor Kreed and 22-year-old Victoria Odintsova fell madly in love during the filming of the clip "I Like", starring Odintsova. Young people liked each other, and soon fans began to notice Victoria Odintsova, who looks like previous girlfriend of Kreed, Xenia Deli, next to singer more often. By the way, in June, Kreed has been spotted with a new girlfriend on holiday in Greece, where they were seen by Russian tourists at the beach. Recall that the private life of Egor Creed has long been shrouded in mystery. Even close friends could not say, who he meets. According to sources close to Kreed, he went through a difficult breakup with the singer Nyusha. After that, the actor had a serious relationship with model Xenia Deli, who appeared in his music video “What do you mean” and recently married 62-year-old tycoon. Now, according to Kreed's friends, his bachelor status under the big question: the relationship of 22-year-old singer with the St. Petersburg model develop quickly.